Whether you have been fortunate enough to visit the famous European counterpart in the heart of Italy and see the iconic canals with your own eyes, I am 100% convinced that you will have all seen gorgeous pictures of those romantic gondolas wandering through the Venetian canals. 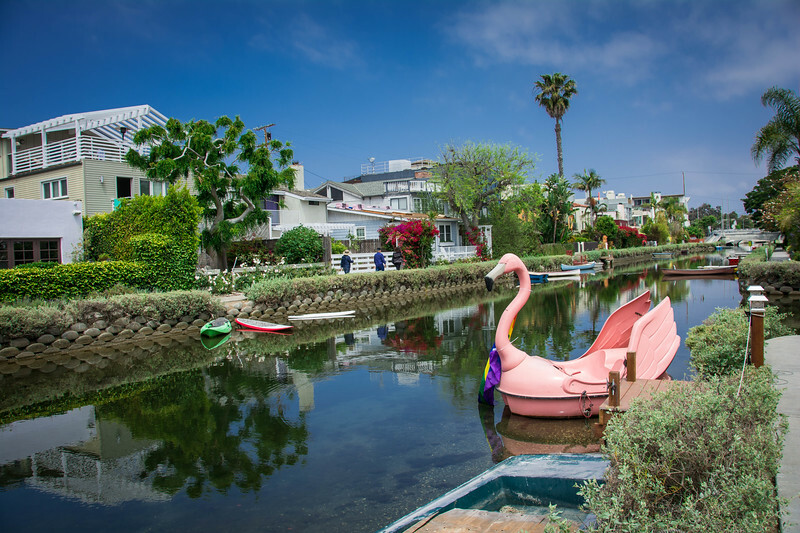 Ok, so Venice Beach, California may not possess such romance but there is a real calming ambiance present throughout this town as you take some time to wander up and down the canal paths. 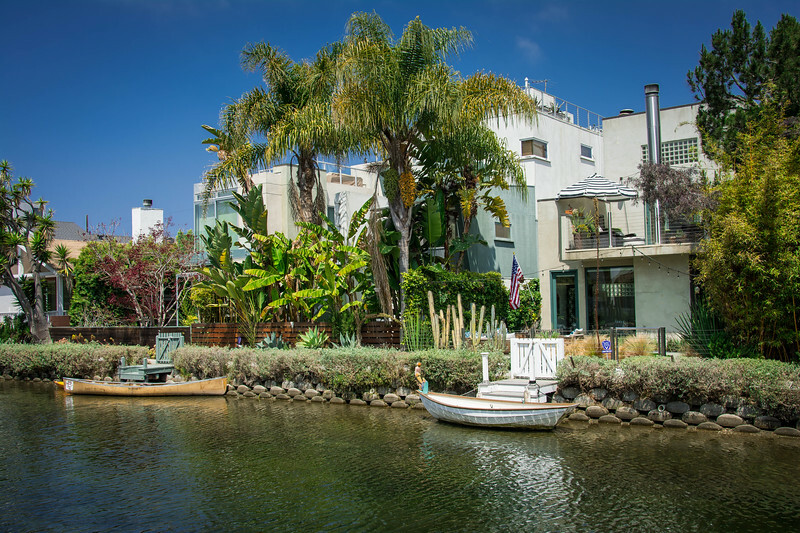 We spent several hours in Venice Beach, not only exploring these gorgeous canals and spectacular homes that line them but also finding out why this area has frequently been renowned as being “the lost canals”. The history of this area dates back to the early 20th century but we will share more on this later in the post. 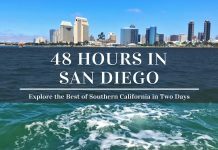 Hopefully, you will be intrigued as we were to explore this beautiful part of Venice Beach and after reading this post we are confident that your desire to visit this area of California will be pretty strong. When you first hear the words “Venice of America,” you could be forgiven for thinking that we are referring to Fort Lauderdale. 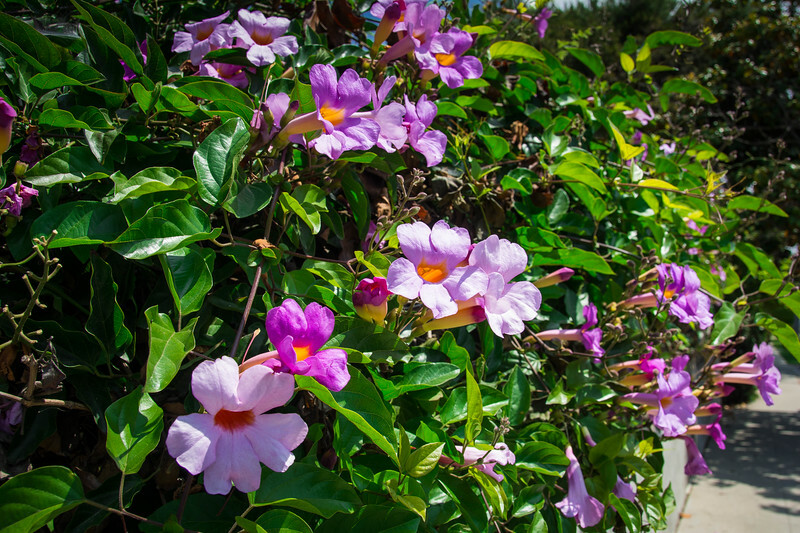 This area of Florida has long been renowned as being dubbed as such because of the 400+ miles of canals that line this region. Combine this with the fact Fort Lauderdale is home to more yachts than anywhere else in Florida and you can quickly realize why this would be renowned as the American equivalent to Venice, Italy. But don’t tell anyone in Venice Beach, California that Fort Lauderdale should lay claim to being the Venice of America. In fact, when you visit this part of California, you will soon realize that this is undoubtedly the spot that deserves to have such a title. When Abbot Kinney started designing the original canals in Venice Beach, he incorporated several references to the Italian counterpart, ranging from the decadent architectural beauty that we associate with Venetian design to the strong desire to launch a cultural renaissance there. Perhaps this was a little exaggerated but as you take some time to stroll around this part of Venice Beach today, I think you could easily argue that he had some success on both fronts! Kinney’s primary focus was clearly to create an American equivalent to the original Italian city that we are all familiar with. But don’t let this fool you that this was the only purpose. 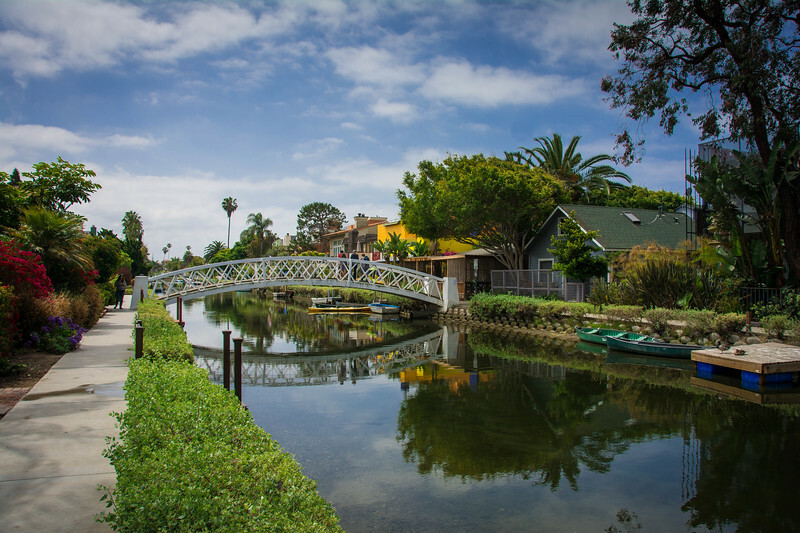 In fact, this intricate canal system played an integral role in his transportation plan for the entire Venice Beach community. What better way to get around and not worry about traffic than by hopping on the canal (or on foot along the canal paths!) – I mean it makes sense right, that’s how you get around cities like Venice and Amsterdam! 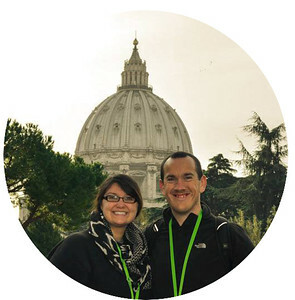 So…the plan was put into place and the original canals opened back in 1905! What could go wrong? Unfortunately, plenty! The canals quickly became polluted, primarily because they were poorly maintained and many visitors to the area started to use cars as opposed to public transportation. 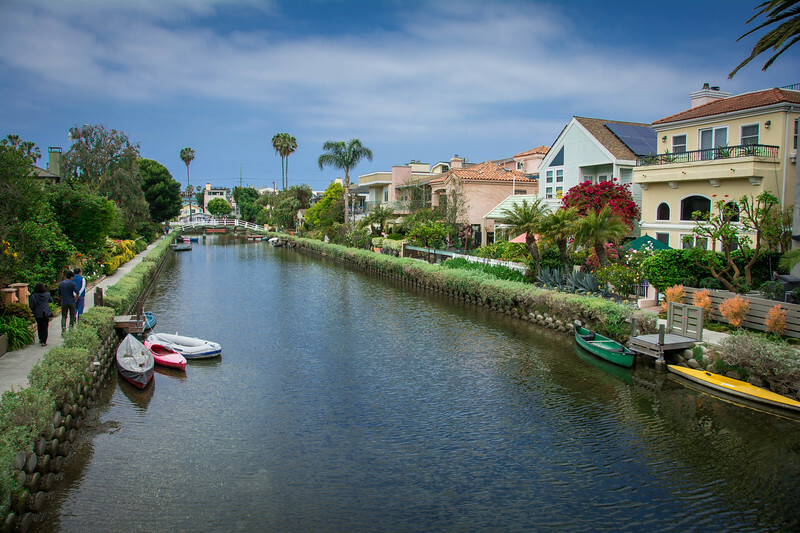 A major flaw with this was that Venice Beach had very little in terms of parking spaces and so the local community saw the canals as a hindrance and potentially could be used to create more spaces for the influx of cars. Fast forward to 1929…the above quote essentially tells the story of what happened! That’s right, concrete was deposited into the canals and by the end of the year, all of them were completely paved…except for…that’s right, the remaining six that we see today. 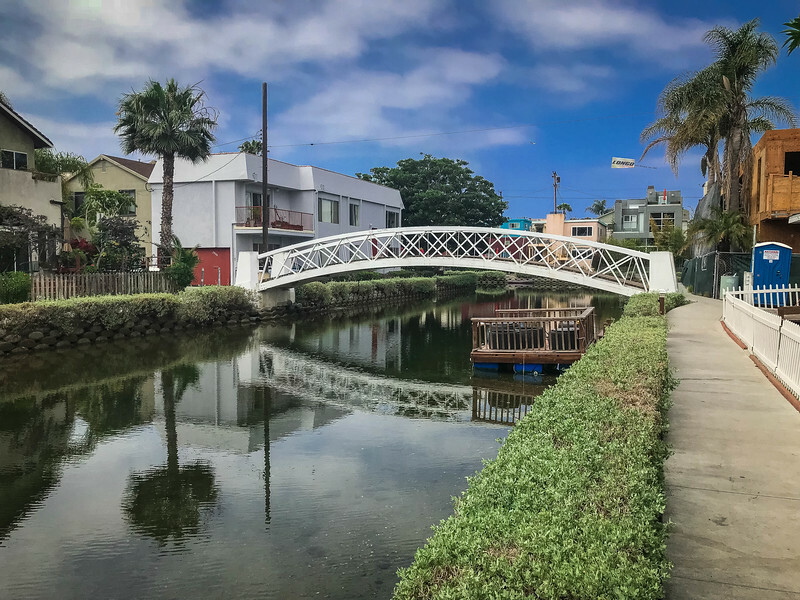 Even though the present day canals in Venice Beach survived the onslaught of concrete in the area, they certainly fell into a category of being in serious disrepair. Locals simply saw these as a nuisance and frequently they were up for discussion in terms of how to incorporate them into Venice Beach urban renewal plans. Finally, after 40 years of serious neglect, the canals were given a little TLC and the regeneration of them led to the amazing sight we see today. And when you stroll around this area, you cannot help but feel a sense of privilege as you explore an area that was once such a neglected space and yet today, is such a decadent display of beauty. 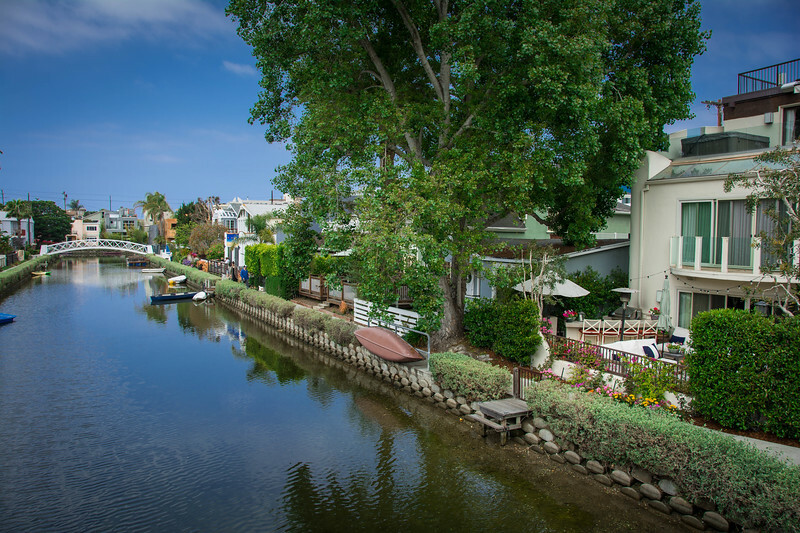 For the architecture aficionados out there, the homes that stretch alongside the remaining Venice Beach canals are a sight to behold. Take a moment to find your perfect house because we are convinced you will likely see at least one that you immediately fall in love with. I joked with Heather that she could pick any house around the canals that she wanted to move in and well, it didn’t take long for her to have a long laundry list of possibilities! 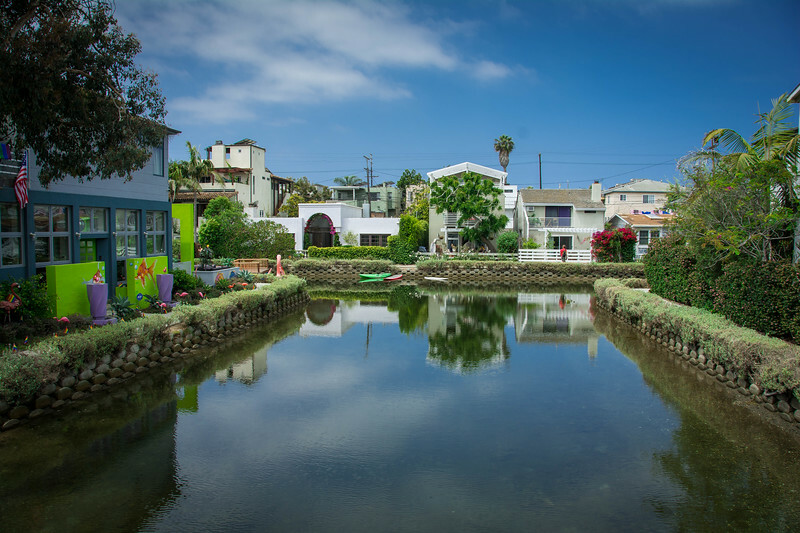 Perhaps dreaming of being able to afford one of the properties around this neighborhood in Venice Beach is a long shot but there is nothing wrong with having aspirations right? Regardless of how realistic this is, enjoying some time in this serene environment is a relaxing experience that everyone visiting Venice Beach should look forward to. 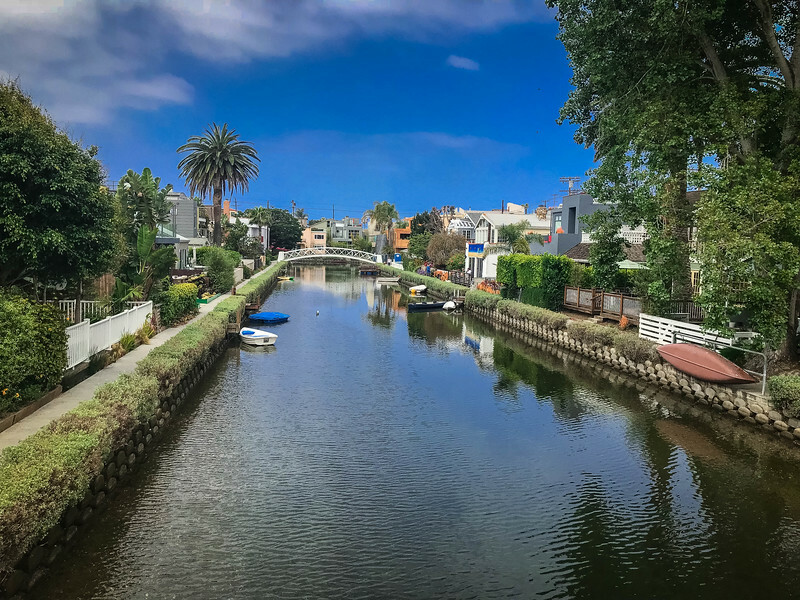 Although this post is primarily about the Venice Beach canal system, you won’t want to leave this coastal hotspot without venturing to the beach to enjoy epic scenes of the Pacific Ocean. We already referenced the infamous “boardwalk” earlier but that is certainly another iconic attraction in the neighborhood that should attract your attention. 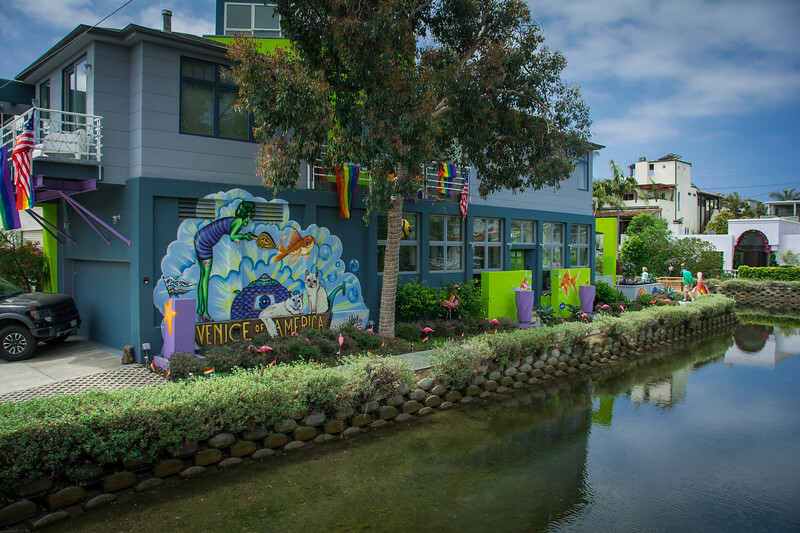 From the best local cuisine to a myriad of local shops, The Venice Beach Boardwalk is the ultimate attraction in Southern California. 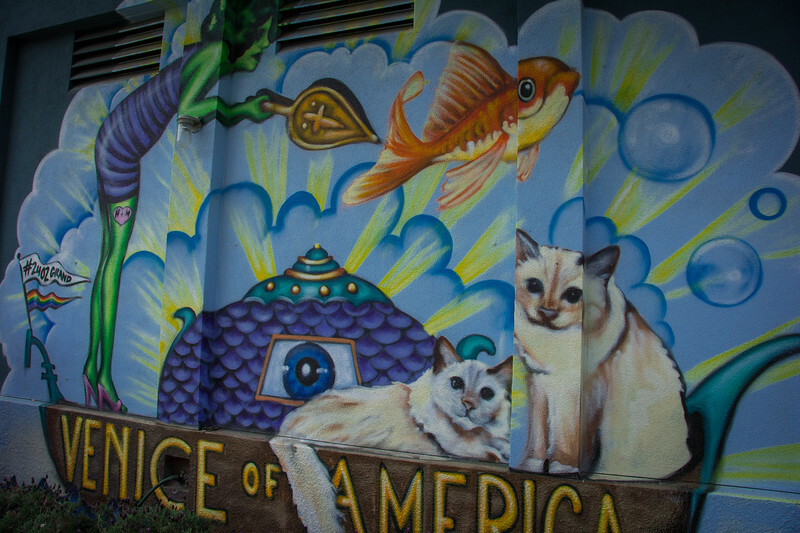 Other things to do in the area include the quirky yet incredibly cool Mosaic Tile House. This 1940’s home is an experience you likely won’t have ever seen before and if you are a fan of Gaudi’s Spanish architecture, you will LOVE this spot! By the way, this is a FREE attraction so be sure to have this on your radar. Do we have any avid TOMS shoe owners reading this post? I know one for sure and that’s Heather! Venice Beach is home to the flagship TOMS Store and this venue is frequently used to host local community networking events because of the coffee shop and juice cooler that is part of the store. 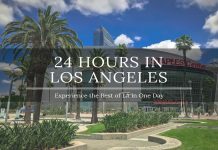 Visitors to Los Angeles and the surrounding area may not immediately think about visiting Venice Beach but for those looking for a relaxing experience while in the area, this is certainly a place that should be on the radar. Whether you only have one day in Los Angeles or plan on spending more time around this part of California, a visit to Venice Beach is definitely worth the effort. 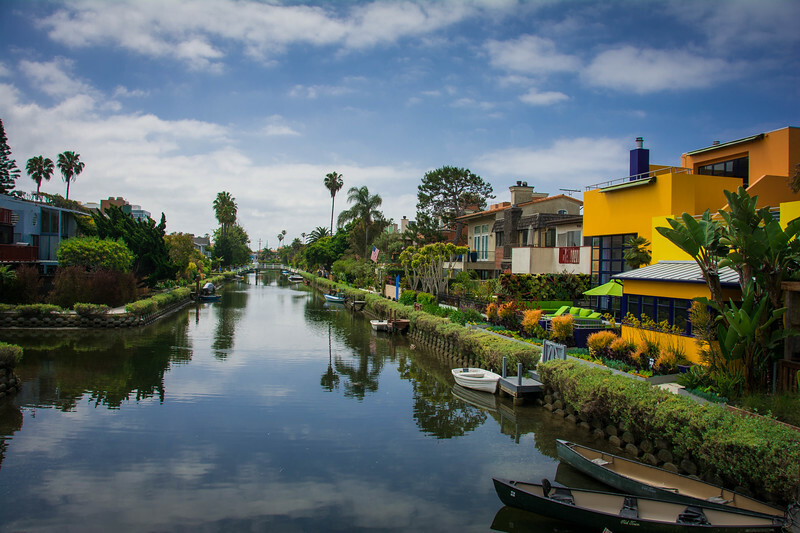 Reflecting the traditional style of Venice, Italy, California’s equivalent is today a haven of modern, luxury homes lining the canals. You may not have the opportunity to see a romantic gondola passing under the bridges but what you will enjoy is a relaxing atmosphere perfect to just get away from the hustle and bustle of LA life. 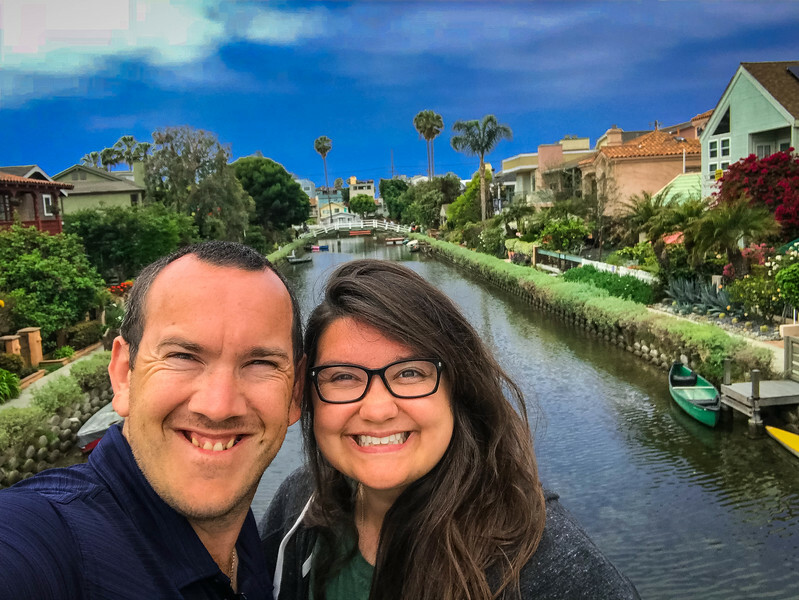 We thoroughly enjoyed our brief visit to Venice Beach and the tough part is trying to convince Heather that those homes along the canals are just a little bit out of our budget!! We can all dream though! 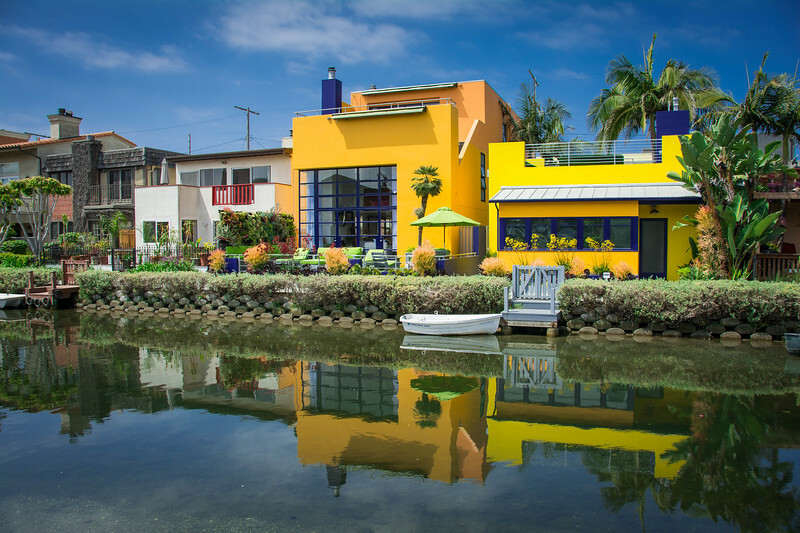 Have you visited Venice Beach, California? 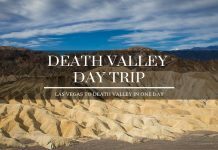 Previous articleArcadia Valley – Is the Top of Missouri Worth Exploring?